Buying your Wedding Lehenga Online can be a big gamble, you can either luckily hit a jackpot or your purchase could end up being a damp squib. A wedding is such an occasion where you cannot afford mess things up. All eyes are on the bride. 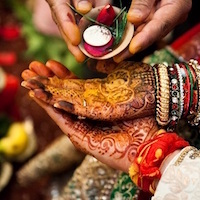 The glowing Bride is all decked up in the best of her clothes and jewellery and clearly, what she wears should reflect the auspiciousness of the event. 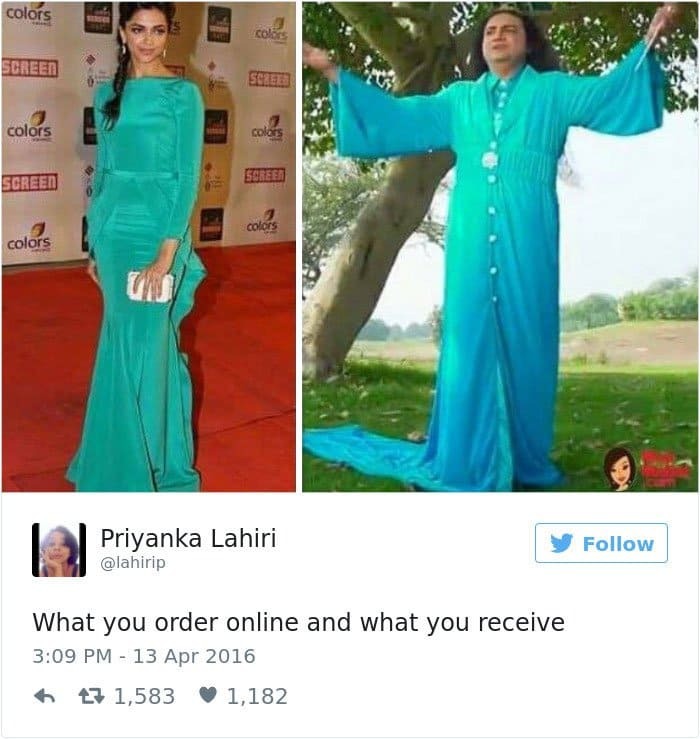 A once in a lifetime moment should not be ruined due to some goof up while making such an important purchase while buying your wedding lehenga online. 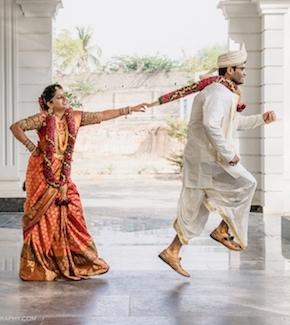 If the picture above is your biggest fear while purchasing a Wedding Lehenga Online, then fear not, we have you covered. Below are 10 important points to keep in mind when buying your wedding lehenga online, just follow the tips and you shall not be disappointed. With a large number of websites aggressively marketing their products, it can leave the Bride flustered as to which design is perfect for them to make the purchase from. 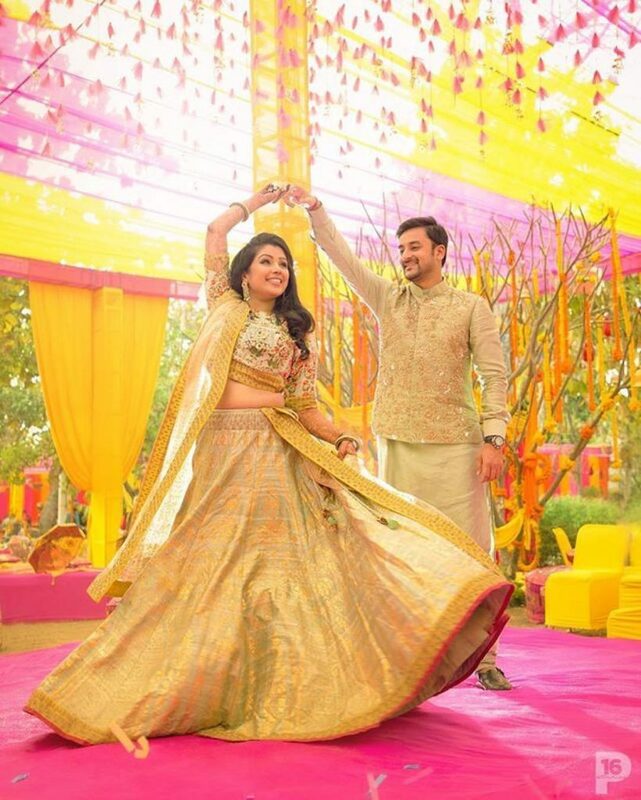 A large number of platforms are available providing a range of lehengas and all are available at different prices. More variety breeds a greater confusion if the bride does not have a clear idea about what she wishes to wear. So, before diving into the whole wonderland of lehenga and choli, conduct a thorough research on the types of lehengas available. Even if this may be the most exhausting thing to do, go ahead with it and patiently sift through all the available options and settle on one. If you have a clear idea in mind, it will make shortlisting the products easier. While purchasing a wedding lehenga online, read the product description, pay special attention to the material details. As a Bride, the D-day is going to be hectic. 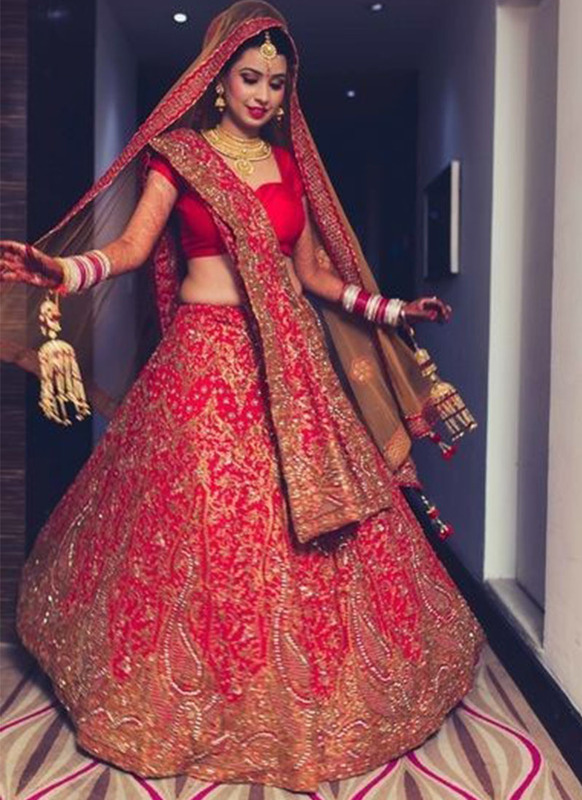 There will be a lot of smiling and posing and immense pressure to look pretty, in such a situation, having an itchy or bothersome lehenga is of course not recommended. Fabrics play a very important role in determining the comfort of an outfit. Choose a material that will balance the glam and glitz with the comfort of wearing it. Another factor is the climate in which can make or break this experience. You wouldn’t want to be stuck with a thick and warm velvet lehenga in the blistering heat, at the same time silk or chiffon cannot protect you from the bone-chilling winter blast. Consider the season and the venue while settling on a fabric. Once the design and the material have been set, now comes the part where you need to settle on a website where you will purchase the lehenga from. The internet is full of websites offering a wide range of wedding lehenga online, and settling on one can be a tedious task. Start with going through each website’s policy, do they allow Returns and Exchanges? Do they deliver on time? Are there any extra delivery charges? Do they offer COD option? If a return is initiated, do they offer cashback guarantee or you have to purchase something else from their website? What are the reviews of the website? Is it a reliable store? Go through all the fine print so that later, if at all, something unexpected is to happen, you would know how to tackle it. 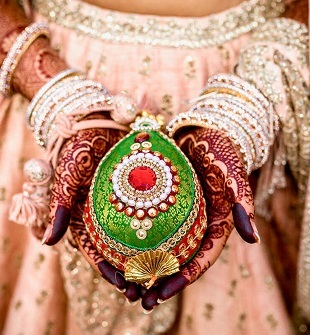 Wedding lehengas are no longer limited to just Red and Gold. A plethora of colours are available in every online store, so go for one that best reflects your personality. Choose a colour palette for your lehenga and choli that is complimentary in nature. You are going to be the highlight of the wedding, so why settle for something dull and boring if you can spice it up with a vibrancy of colours? Be adventurous and brave, rock the pizzazz! With a lot of options available, it is easy to stay true to a set budget. For an attire that may be worn just once, or maybe twice in your lifetime, is it really wise to spend a bomb on it? Being practical about this aspect of your wedding couture can only save you a lot of cash. No matter what your body shape may be, everyone is beautiful. Keep your measurements at hand so that you can have a better understanding of the fitting that the dress may offer. In most cases, an exact and a proper fit may not be available, but don’t let that discourage you. You can always settle for a slightly larger size and have it altered to fit you perfectly. 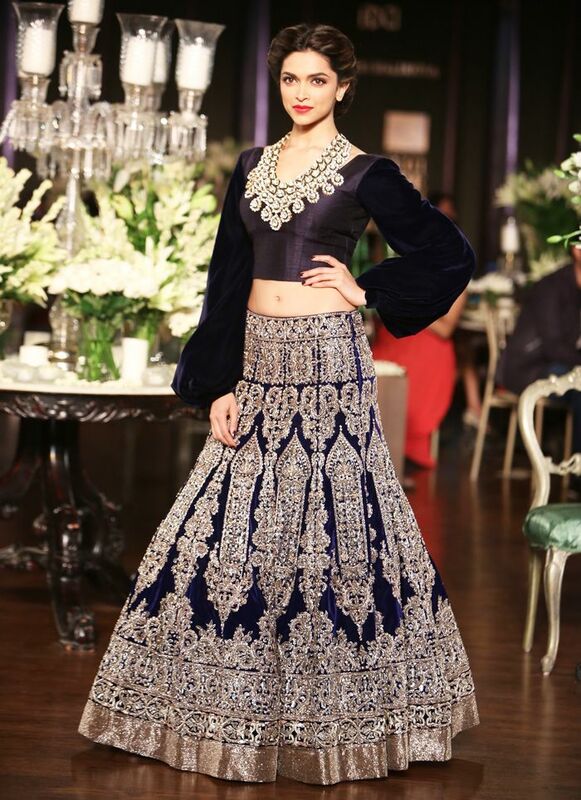 This will give the lehenga an entirely tailor-made look. Liked a wedding lehenga online but the dupatta looks drab and boring? Do not fret about it. If the wedding lehenga online fits your budget and your liking, then go ahead and buy it. Accessories like dupatta can also be purchased separately or customised as per request. If you feel like giving the dupatta a makeover and possess the skills, go ahead and use it as your canvas. If not, then hand it to someone else who can take on the task. Are you going to be heavily clad in jewellery? Or are you going to have the bare minimal accessories? Choose a neckline that compliments your choice. If you have a whole necklace set, choose a sweetheart neckline instead of a full neck choli. For a minimalistic look, you can opt for a full neckline, but otherwise, it is a strict no-no and will make you look like a no-neck monster! Is it even a lehenga if it doesn’t have the right flare? Choose one with an appropriate amount of pleats that will give the lehenga a fuller look. But in an attempt to chase the flared-out look, it is easy to overdo the effect. Settle for one that is just right. A lot of wedding lehenga online have detailed photographs of what the product looks like. Scrutinise them all and hit the right balance so that it doesn’t look tacky or lustreless. Like a lot of good things, finding the perfect lehenga takes time. Stay patient through your search. Losing your patience may only result in making bad decisions. Do not get impulsive and clearly, you shall be rewarded for your fortitude. Keeping these tips in mind, have a happy time shopping for your wedding lehenga online!